So what’s in a Keystone Cocktail? Well, if you’re from Pennsylvania, you probably have various ingredients in mind. 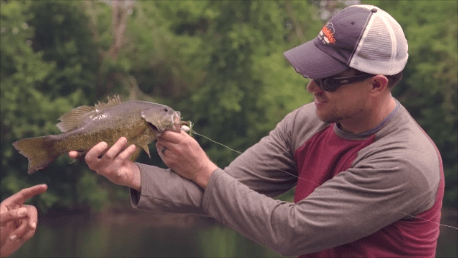 Our mix included a hefty dose of smallmouth bass, brown trout, and rainbow trout. It’s an awesome elixir served up best in late spring by guide and owner of Chasing Tails Fly Fishing – Ben Rogers. 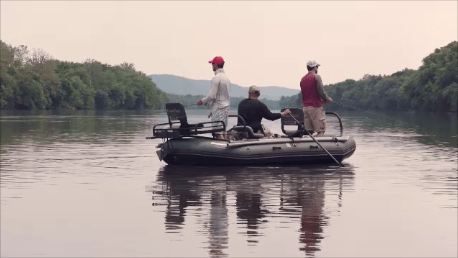 Our latest video in our Re-Discover your Region Series, “Bass, ‘Bows, and Browns – the Key Stone Cocktail,” takes us to South East Pennsylvania. This small slice of the northeast boasts a bountiful and diverse menu of options for fly anglers. Watch the video and you’ll quickly realize that we only got a small dose of what the area has to offer. Nate and I honed our fly fishing skills in PA so the state will always have a soft spot in our heart. In our early years, we only ventured as far as State College, PA for the fabled waters of the center state. It wasn’t until recently that we scraped the surface in the Southeastern portion of the state. A couple of years ago, we made a drive down there for the Lancaster Fly Fishing Show and fished some of the spring creeks along the way. That planted a seed for a follow on trip. I have my beefs with social media but one thing it does enable is creating connections to people you wouldn’t otherwise meet. I connected with Ben Rogers via Facebook a little more than a year ago. We had a few things in common that created the connection. We’re both combat veterans, served time in special ops units, love to fish, and are guides. We had to link up and share war stories – both figurative and literal. Last summer, I made the short, 5-hour drive from Buffalo, NY to Carlisle, PA to link up with Ben. 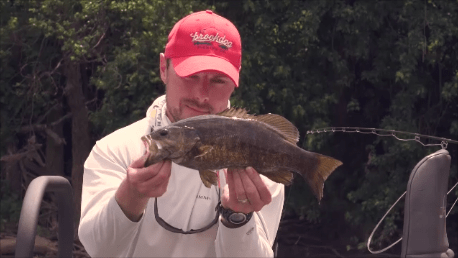 The plan was to fish trout and smalljaws for a few days – and all went well as planned! For four days, Ben put me on many fish and showed me a lot of water. At the end of that trip – I knew I had to come back. As we started forming our plan for the Re-Discover Your Region Series – a return to SE PA with Nate was a must. This region is home to some of the nation’s most noteworthy spring creeks such as the Letort, Yellow Breeches, and Big Spring. You probably already know that. What you might not know is that this area is also home to an incredible warm water fishery. The Juniata and Susquehanna as well as their many tributaries all boast the full menu of warm water species. This includes smalljaws, largemouth bass, musky, carp, gar, catfish, panfish, walleyes, etc. All of these species are available to the fly angler. 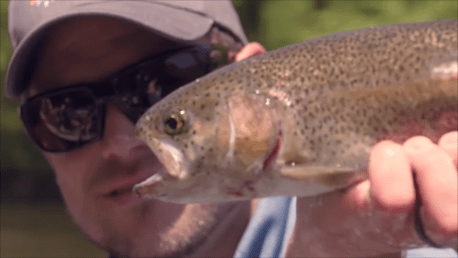 This episode exposes you to a little smalljaw action followed by a transition to a cold-water fishery within an hour drive. When planning this episode, Ben let us know that the Lehigh River passes through a cool little town called, Jim Thorpe. “Are there bars there,” I asked? “Probably the best one in the region. It’s called Molly Maguire’s,” Ben replied. That’s how our off-the-water sequence was born. It’s definitely our best one yet. Darren Behan and his family welcomed us with open arms and treated us as one of their clan. Such an awesome spot – the food, the scenery, the ambiance. We’re sure you’ll agree. If you’re ever in this little corner of the world, make sure to check this place out. Here’s the link to the video as well as Chasing Tails and Molly Macguire’s. Enjoy. Share. And please subscribe to our channel.